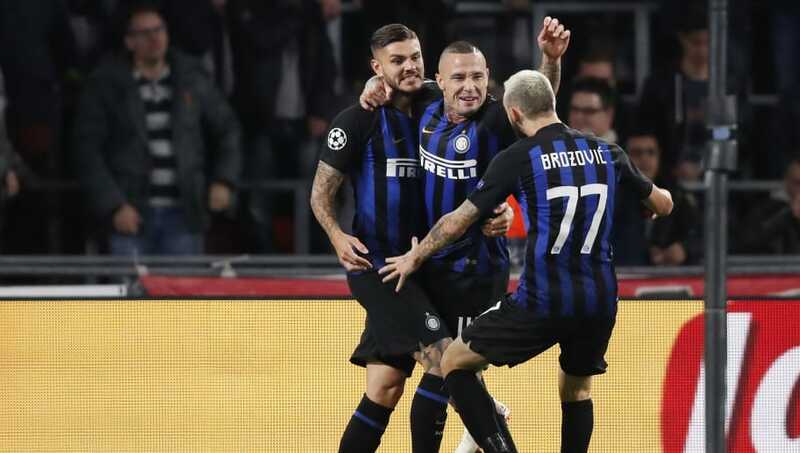 Inter welcome Udinese to San Siro hoping to end a disappointing run of form, which has seen them fail to pick up a win in their last four matches in all competitions. The Nerazzurri sit third in Serie A and face a 17th-placed Zebrette outfit, who could drop into the relegation zone if they lose the match and results go against them on Tuesday, when Bologna face Milan. Samir Handanovi? (GK) – The keeper has kept seven clean sheets in 15 league appearances in all competitions. Although he hasn’t managed to keep one in his last four, the Slovenian will be eager to impress against his former side. Danilo D’Ambrosio (RB) – The full back has made 15 appearances in all competitions this campaign, keeping five clean sheets in 11 league games. He has been terrific defensively and is also a threat in the opposition area, providing a goal and an assist this season. Stefan De Vrij (CB) – Like D’Ambrosio, the defender has made 15 appearances and kept five clean sheets, albeit in ten league appearances. He also possesses an aerial presence in the opposing box, with a goal and an assist to his name already. Milan Škriniar (CB) – The Slovakian is only 23 but has shown a great defensive maturity. He has helped his side keep six clean sheets from 13 league appearances and has failed to feature just twice this campaign. It comes as no surprise why several top European sides are after the talented youngster. Kwadwo Asamoah (LB) – The Ghanaian has kept five clean sheets in 13 league appearances this season. He possesses great pace, which helps the Nerazzurri going forward and he utilises it well when making recovery challenges. He also has a wand of a left foot, making it easy for him to send in dangerous first time crosses. Marcelo Brozovi? 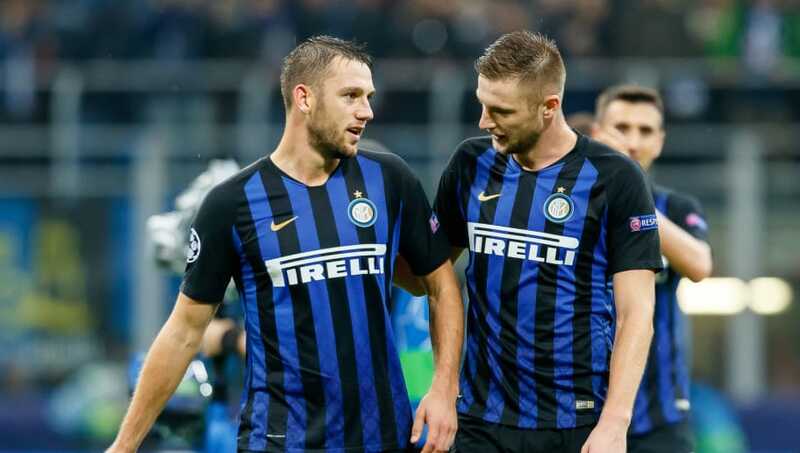 (CDM) – The Croat has impressed this campaign for the Nerazzurri, providing one assist and has found the net twice in the league in 13 appearances. He is a player who often sacrifices himself for the team, making cynical challenges and picking up bookings for the side, which has cost him with one sending off. Matías Vecino (CM) – The Uruguayan has struggled with a muscular injury, which ruled him out of Inter’s Champions League draw against PSV Eindhoven, but will be a massive boost should he return to the starting lineup. Radja Nainggolan (CM) – The Belgian hasn’t made as big an impact as he was tipped to after his move from Roma, due to a succession of muscular injuries. He is a combative, box to box midfielder who knows how to keep possession under pressure, dribble past players and pick out a pass. He has a slight niggle but could feature. Matteo Politano (RW) – Politano has impressed as the season has gone on. He has featured in every match this campaign for Il Biscione and has been involved in six goals in 21 appearances in all competitions, five of which have come in Serie A.
Mauro Icardi (ST) – Icardi has been terrific thus far this campaign, continuing last season’s form which saw him finish as joint top scorer in the league. He has eight goals and two assists in 12 league appearances, four in the Champions League and is on course to equal his tally from last campaign. Keita Baldé (LW) – The summer signing has done well since arriving at San Siro. He has been involved in five goals in 14 league appearances, scoring three and providing two assists. He is very good on the ball, possessing great pace and trickery. He has managed to complete 90 minutes just once, but he grabbed a brace and an assist on that occasion.